If you are searching for an alternative autism treatment for your child, consider natural autism therapies. Natural treatments may be a good option for a child who has not responded well to traditional therapies. It can also supplement a traditional autism treatment plan. A little research can help you find a safe and effective natural autism treatment for your child. Natural autism therapies use natural foods, herbal supplements and holistic therapy techniques in place of conventional medications. The natural therapy addresses vitamin deficiencies, food sensitivities and reducing symptoms. The concept is that autism symptoms may be the result of intolerance for certain foods, a vitamin deficiency or an environmental toxin. Many natural therapy experts believe that using potentially toxic traditional medication can harm a person with a system already overloaded with toxins and deficient of important nutrients. Natural therapy techniques such as Reiki and aromatherapy can also help with sensory issues and calm repetitive or obsessive behaviors. Many of these techniques are easy to incorporate with a conventional treatment plan with a doctor's supervision. At this time, the traditional medical community does not generally endorse natural therapy for autism because of lack of documented research. 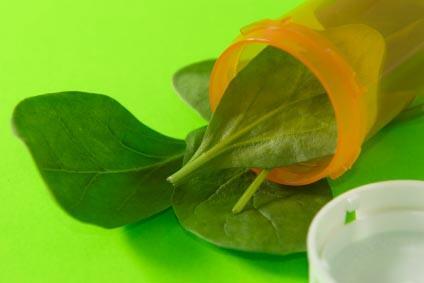 The Federal Food and Drug Administration (FDA) has not approved any herbal or vitamin treatments for autism. Not enough is known about the safety and effectiveness of natural therapy treatments for autism. Herbs: Certain herbs such as chamomile, St. John's Wort and Melissa officinalis are used to treat autism symptoms. Vitamin Supplements: Some people with autism are deficient in vitamins such as A, B-6, B-12, D and E. Supplements can improve health. Gluten-free and casein-free diet (GFCF): A number of people with autism have food intolerances and digestion issues, especially to gluten and casein. Grains such as wheat and rye contain gluten. Dairy products contain casein. Eliminating gluten and casein can prevent digestion problems. Some people with autism experience less symptoms with the diet. A number of autism experts, especially biomedical practioners, recommend GFCF diets. Personalized special diets that avoid food intolerance triggers: Some holistic autism experts develop personalized special diets for people with autism. Many of these diets are designed around avoid food intolerances. Antifungal treatments: Natural antifungal treatments are administered because many people with autism have a tendency toward chronic ear infections. There is also a theory that people with autism may have an overgrowth of candida albicans. Aromatherapy: Aromatherapy is sometimes uses as natural sensory therapy. Essential oils are used to calm or stimulate senses. Sandalwood, neroli, vanilla and lavender are commonly used to calm senses. Cinnamon, peppermint and eucalyptus stimulate the senses. Reiki: Traditional Japanese Reiki can help a person with autism relax, reduce anxiety, relax tight muscles, soothe stomach pains and improve sleep problems. More hospitals and nursing programs are slowly adopting Reiki as a complementary therapy to conventional health treatments. Detoxification: Some naturopathic autism experts recommend an herbal detoxification treatment to help improve a person's digestive system. For more information on biomedical treatments for autism and the DAN program, visit the Autism Research Institute site. Always consult with your child's doctor before starting any new autism treatment. Since natural treatments such as herbs and essential oils can interfere with conventional medication, it is important to get physician approval when combining therapies. Research natural treatments carefully. Ask autism advocacy groups for referrals to naturopaths and holistic experts. Consult with a reputable expert such as a medical doctor who also uses natural methods. Many natural therapies complement conventional autism treatments. You just need to find the right treatment plan for your child. Dr. Ray Sahelian: Dr. Sahelian's site includes an autism newsletter with information on natural therapy. Reiki Autism: Reiki expert, Heather Long, has an article about the use of Reiki as an autism treatment. Natural autism therapy may be good alternative treatment or supplemental care plan for autism with a doctor's approval. The fact that a significant number of people with autism respond to natural therapies justifies more research. Effective autism treatments are not limited to pharmaceuticals.